We probably all know someone who has been caught by a police or council speed camera and have heard various stories about them, but are these truths or myths? One leading road safety charity, BRAKE, has now revealed the important facts you need to know. Read on to find out which is which. We know through various Freedom of Information requests that not all fixed speed cameras are switched on and some estimates suggest up to a quarter of these cameras could be out of action. Road safety policy seems to now favour the use of mobile cameras over fixed sites as they are found to be almost three times as effective at catching speeders. The law states if you are just 1mph over the speed limit then you could be fined and face penalty points. In reality though, the NPCC (National Police Chiefs Council) advise to only prosecute at speeds of 10 per cent higher than the speed limit in force plus 2mph. So, for example. it is unlikely motorway cops will act below 79mph unless your driving is dangerous or reckless. However, if you are breaking the speed limit at any speed, you risk being pulled over and a speeding offence may kick in. This used to be true, but in recent years average speed cameras systems have been increasingly used to tackle this dangerous driving behaviour. Average speed checks force motorists to avoid harsh braking and acceleration which can lead to accident black spots. Also, you can’t fool average speed cameras by changing lanes within the speed restriction zone. 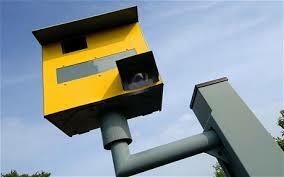 Speed cameras can snap you at any speed. The only way not to trigger it is to drive within the limit. It is true, on occasion, a speeding driver could avoid being snapped by being obscured from view by a large lorry, but this is rare and a dangerous tactic to try and adopt as it may take your focus away from the road ahead and surrounding vehicles. Whilst it is true that as of October 2016, all working speed cameras on England’s motorways and A-roads were painted yellow, some cameras on local roads may still be a different colour. So, regardless of its colour, if you are caught by one of these, the offence is still valid. Average speed camera systems have been designed from years of research and utilise the latest technology to create safer roads than the single camera alternatives. It is true that early systems could be fooled by changing lanes during the zone, that loophole has long been closed. That said, police will largely only target drivers doing 10 per cent over the limit plus an extra 2mph but please bear in mind it is illegal to be even 1mph over the limit. If you’re caught by a fixed or mobile speed camera you must be sent a Notice of Intended Prosecution within 14 days for it to be valid. However, this does not apply if you are pulled over or recorded by a traffic officer. A Notice of Intended Prosecution is sent to the registered keeper of the car but will still apply to you if you are not the registered keeper but were driving the vehicle at the time. If you have been caught by a speed camera and it is your first speeding offence, it is likely you will be offered a speed awareness course instead of penalty points – unless you have been recorded exceeding the speed limit by 30mph or more. However, it’s not your call as to whether you can avoid points and attend a course instead. If you’re eligible, police will usually offer it but you can’t request it if they don’t. if it’s only a minor offence and it has been at least three years since your last offence, the officer in charge may offer you another course. Even though attending the course means you avoid penalty points on your licence, you must still declare it to your insurer. Otherwise, it could mean your policy is invalidated further down the line if a claim is made and an insurer checks your information with local police. Even in the unlikely event you break the speed limit whilst riding a bike or a horse, you’d still be outside of the law. Road speed limits only apply to motorised or mechanically propelled vehicles. Whilst undoubtedly speed cameras generate revenues for the police and local councils, they’re only ever placed at accident black spots and high-risk areas in a bid to improve safety. If motorist stayed within the limits, speed cameras would make no money at all and would cost the authorities millions a year to operate and maintain.